These days, children often have stressors that come at them from all directions. Schools are sending more homework and projects home with children, kids are busy after school with extra-curricular sports and activities, and there are video games, social media, and cell phones all competing for their attention. In addition, they may have to deal with being picked on at school or may be coping with the pressures of divorcing parents or the arrival of a new sibling in the home. With all that kids have to contend with, it’s no wonder that children who engage in mindfulness exercises tend to be happier kids who are more able to self-regulate and calm themselves during periods of stress. What is mindfulness, anyway? According to experts in the field, mindfulness is defined as “paying attention to something, in a particular way, on purpose, in the present moment, non-judgmentally” (Kabat-Zinn, 2003). Mindfulness helps with emotional regulation and cognitive focus. It allows children to choose a calmer, practiced response to stressors instead of throwing a tantrum or losing control. It teaches them to be conscious of how their emotions “show up” in their bodies (in the form of headaches, stomachaches, nightmares etc), and helps them understand that their thoughts are “just thoughts.” Children who undergo mindfulness training become adept at recognizing when their attention has wandered and learn to implement tools for impulse control. How Can Mindfulness Training Help Your Child? 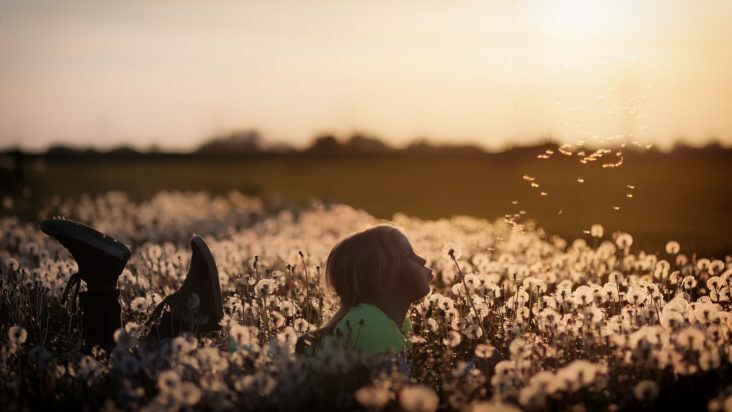 There is a growing body of research that indicates mindfulness training can help children improve their ability to calm down when they are stressed or upset, learn to pay attention and become more focused, increase their ability to concentrate, and learn to make better decisions. If you would like to help your children learn to become more mindful, there are a few things to take into account when teaching them. First, remember to take the age of the child into consideration and keep the mindfulness sessions short until they get used to practicing it. Also, make the practice times age appropriate – limit them to about five minutes or less, particularly for younger children. Praise your child for the effort they put into their mindfulness exercises and reward them with hugs and cuddles or by doing something they want to do together afterward. Belly breathing – Have your child put one hand on their tummy and one hand on their heart. Have them take a deep breath in for a slow count of 3 and then breathe out again to another slow count of 3. They should repeat this deep breathing exercise at least three to five times to feel calmer in times of stress. For younger children, it can be helpful to have them lie down and place a small stuffed animal on their stomach while breathing in and out during the exercise. As they focus on watching the stuffed animal rise and fall with their breathing, they learn how to breathe from their belly. “Cool Your Food” breathing – Have your child breathe in through their nose and blow their breath out of their mouth as if they were trying to cool down hot food. Repeat this 5-10 times, very slowly. Mindful Playtime – Finger paints or coloring books offer great ways for children to be mindful. As they color, ask your child how the crayons smell or how the finger paint feels against their hands. What do the colors they are using mean to them? Can they hear the crayon or pencil scratching against the paper or the paint swishing as they swirl it across the paper? Ring a bell – or chimes or perhaps strike a note on a piano (or use a phone app that has these sounds on it) and have your child listen carefully to the sound of the tone until it gradually fades away and stops. Practice gratitude – Have your child tell you one or two things they were grateful for today. You can have them do this at dinner time or just before they go to bed. Tell them what you are grateful for, as well! We have mindfulness programs for both adults and children at The Center for Treatment of Anxiety and Mood Disorders in Delray Beach, Florida. To find out more about these programs, call us at 561-223-6568 or contact us here.